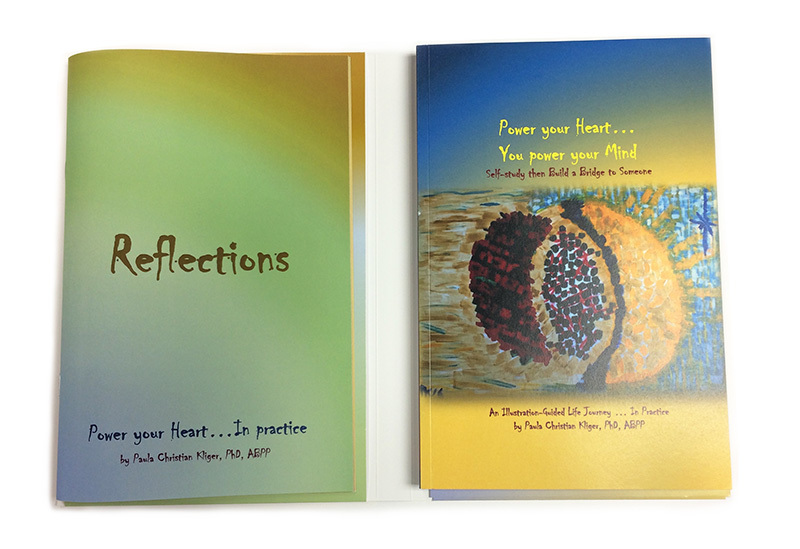 This portfolio edition includes the “Power your Heart…” book with the Reflections journal and is the best way to experience it. 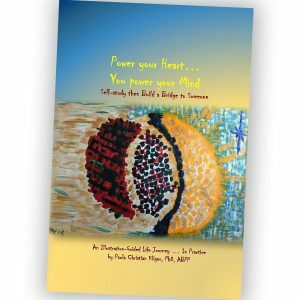 Featuring convenient sleeves to keep both pieces together, this folder will fit nicely in your bookshelf or your briefcase as you take it with you on the go. 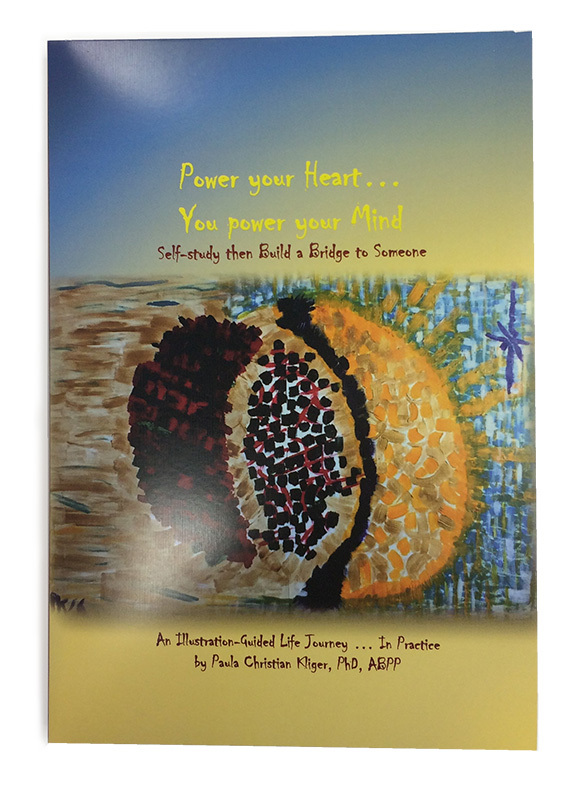 Self-study then Build A Bridge to Someone. 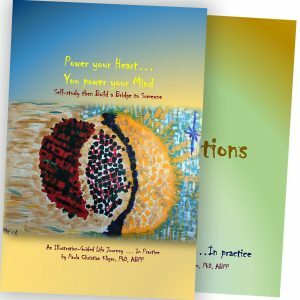 An Illustration-Guided Life Journey … In Practice. As a trusted and thoughtful reader, I am offering this heartfelt work to you so that together we can begin to cultivate a fresh conversation about valuing all human life, valuing the breadth of our human experiences and passing on a faith and confidence in the power of the HEART, in its intuitive wisdom, to guide us most effectively to be more conscious of each precious life, to take and to give with care, with respect, and with awareness of our collective, interwoven interdependence … our inevitable and reciprocal ongoing support of each other. 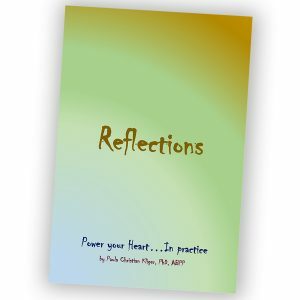 The Power your Heart… book and Reflections journal are combined together in one convenient package, with a protective outer container piece to hold both together. 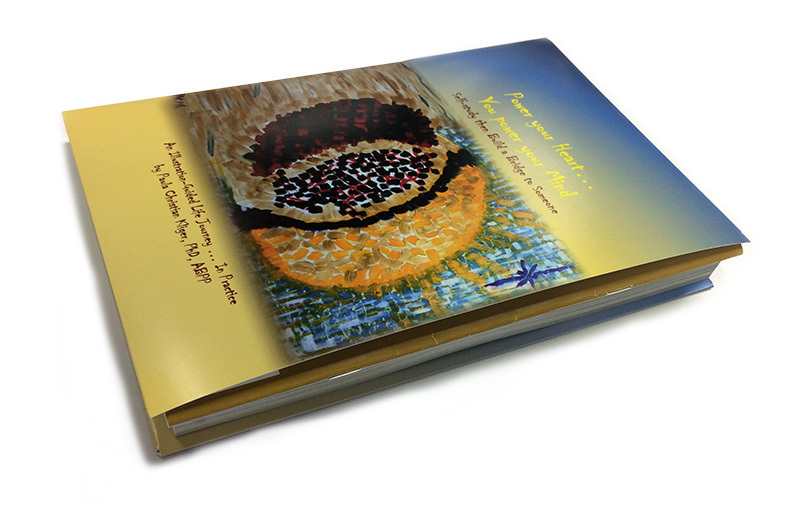 This edition will fit nicely in your bookshelf or your briefcase/purse as you take it with you on the go.